International Doctoral School on the SDGs - Welcome on ejeandc! A challenging international initiative with PHD candidates granted with mobility and research scholarships to carry out part of their research (6-9 months) in Italy with individual mentoring. A network to link several academic graduate and PhD programs that already exist in (for now) 25 African, Asian and Latina American countries. 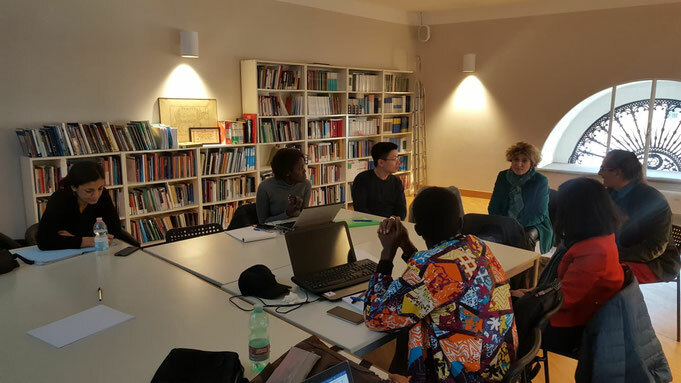 Just a South-South connection through which important research fields, relevant to the SDGs agenda, are in-depth studied in an international dialogue, exchanging ideas and results. Without creating anything new, a practical way to develop a community young researchers, that is a process of mutual learning by straightening links among them. A enormous potential for partnership. A network connecting relevant partners from Asia, Africa and Latin America. The spirit of a joint doctoral school; a concrete support to qualified researchers highly beneficial to them, but also an extraordinary potential to strengthen international links and to create bridges that can be valuable in implementing new joint research-actions projects related to specific SDGs. 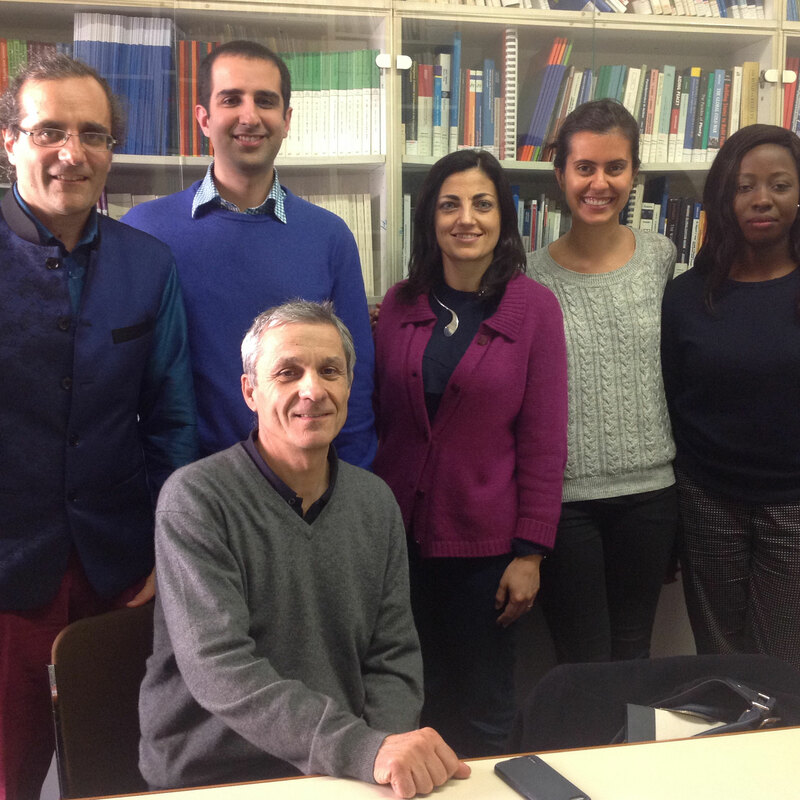 Congratulations to our first PhD students Ali Reza from Iran, Ana Paula from Brazil, Daisy from Kenya and Malick (missing from the photo) from Senegal! 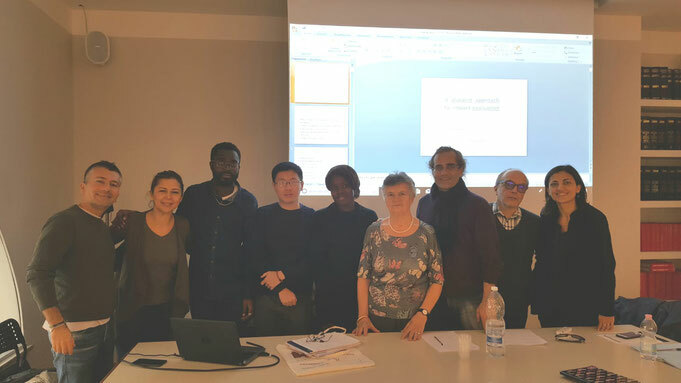 Bienvenue from Ivory Coast, Karine from Brazil, Marthe from Senegal, Tien from Viet Nam and Vatana from Cambodia with other PhD colleagues at the meeting venue, PhD in Political Science, Roma Tre University coordinated by Prof. Leopoldo Nuti and with Prof. Maria Rosaria Stabili, the academic contact point for our international students at Rome Tre. An informal seminar at CeSPI on "When have policies been effective to improve food security in the South? Lessons learnt on the key ingredients for impact analysis" with Fernanda Guerrieri, former FAO Assistant Director General. A doctoral seminar at CeSPI on "A pluralist approach to impact evaluation" with Prof. Nicoletta Stame, a leading expert in this field. 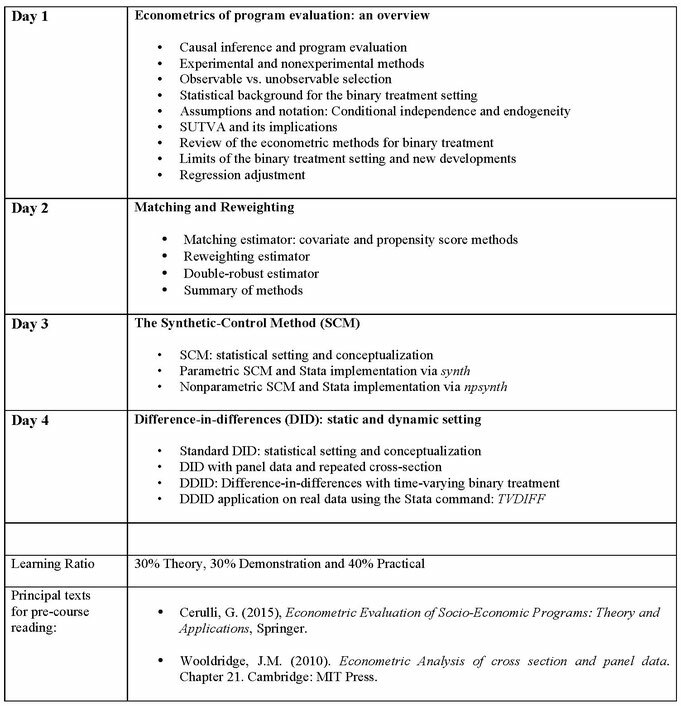 Course on "Methods for causal inference and program evaluation using Stata"
PhD students participate in the intensive course offered by CeSPI on Econometric modelling for causal inference and program evaluation held by dr. Giovanni Cerulli, IRCrES-CNR. 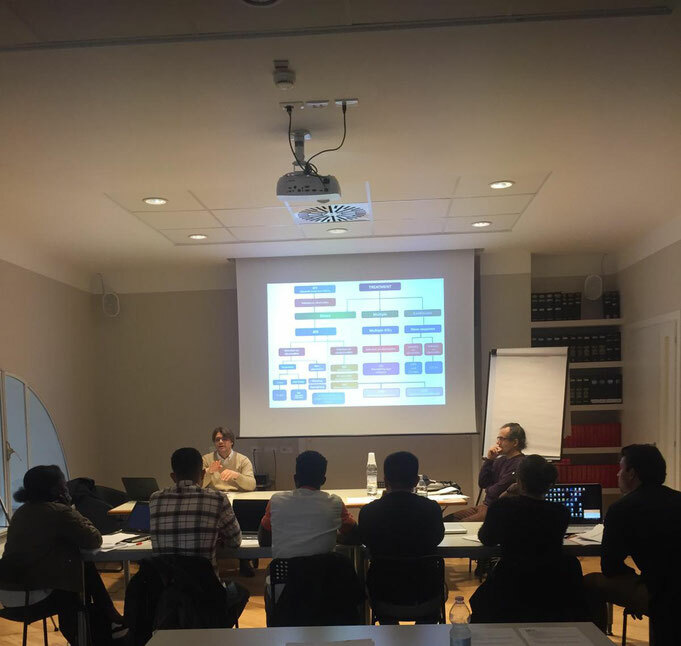 A lecture class at CeSPI on "Methods for causal inference and program evaluation using Stata" held by Dr. Giovanni Cerulli, a statistician who developed several Stata routines for estimating binary treatment models. 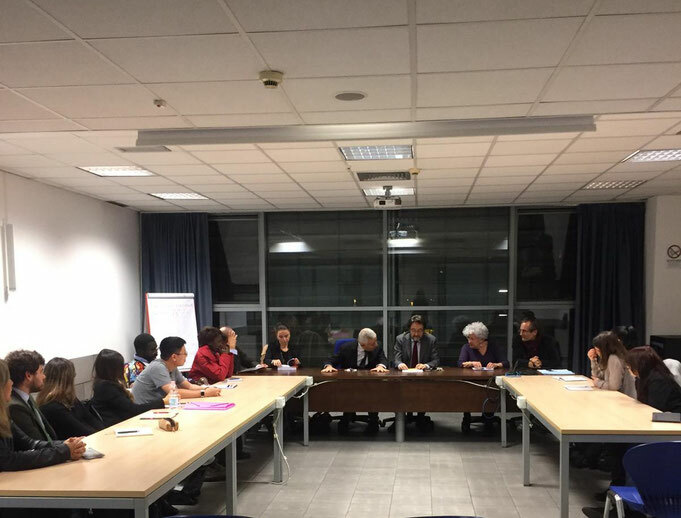 Nine PhD students from different countries (Argentina, Bolivia, Brazil, Cambodia, Ivory Coast, Morocco, Mozambique, Senegal and Viet Nam) and some Italian PhD students participated in this post-graduate course.